Frazee interestingly leaves the conclusion open-ended, with no dog managing to break the standoff....offers easy discussion prompts (the dogs’ questions could be posed to the audience verbatim) for some empathy-building and social consideration, while the adults can consider larger political symbolism. 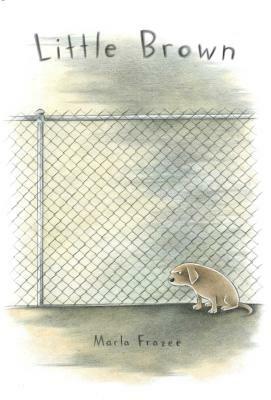 Frazee’s pencil and gouache illustrations draw on a somber earth-toned palette, and poor hunched-over Little Brown is the picture of unhappy distrust as he lurks against the chain-link fence. The absence of humans to bring higher authority emphasizes the playground aspects of the scene, and kids who’ve struggled to negotiate interpersonal dynamics there will find this a useful invitation to talk them through.